I was back in Barcelona almost exactly after a year. Like the last time, I had most of my lunches and dinners in small tapas bars and restaurants that dot this city. There were a few special dinners when I returned to the Marina to dig into sumptuous sea-food paellas. 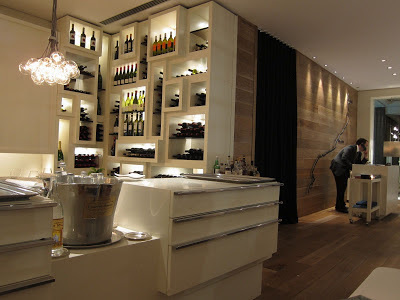 The one place that was particularly special for me this time was at Enoteca. 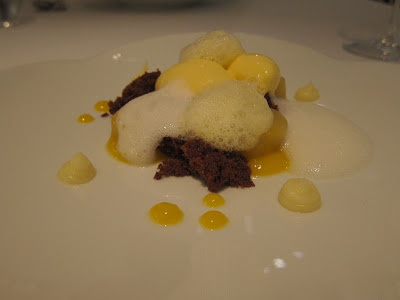 This Michelin-starred restaurant at the Hotel Arts Barcelona was a perfect culinary ending to a fruitful trip. Unfortunately, this is also a night I will remember as the one when my iPhone was stolen! Enoteca is helmed by Catalan chef Paco Perez and focused on making the most of the region's fresh produce and seafood. A study in minimalist chic, the interiors are a tasteful blend of white surfaces combined with dark cherry wood. 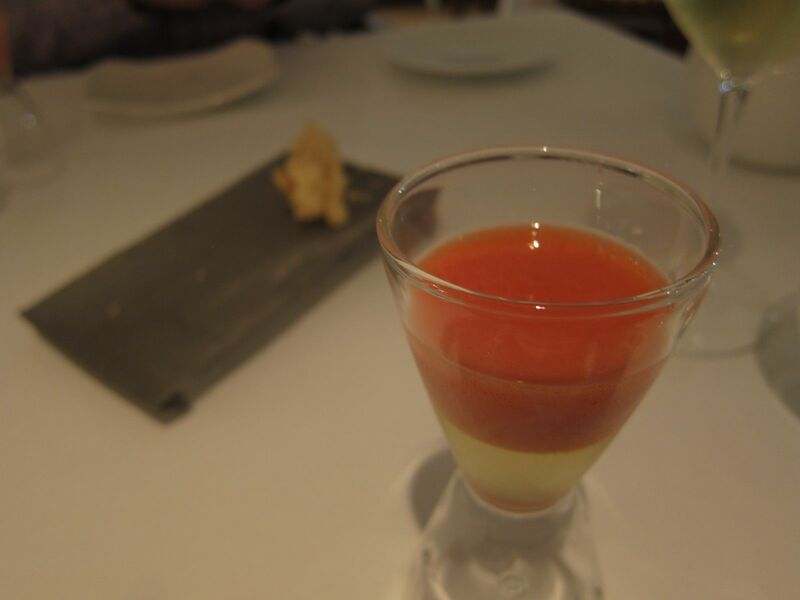 The amuse bouche of consome Gazpacho with strawberry foam set the bar high for the night. I had ordered the appetizer of Lobster Carpaccio with a Citrus Salad. As you can see, the presentation was lovely. I can attest to the fact that it tasted even better! 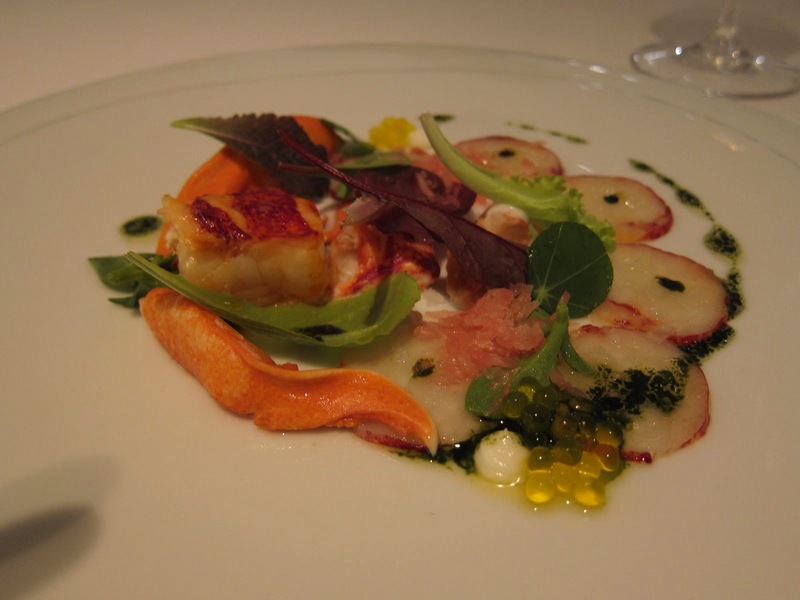 A fantastic medley of flavors and textures on the palate. Of course, sea food can't get any fresher than this. 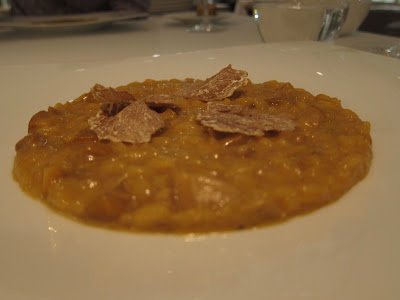 My next course was the Risotto with Amanita Caesarea and White Truffle. The Amanita Ceasarea is a highly regarded edible mushroom that is native to southern Europe and North Africa. It used to be a favourite of the Roman rulers. 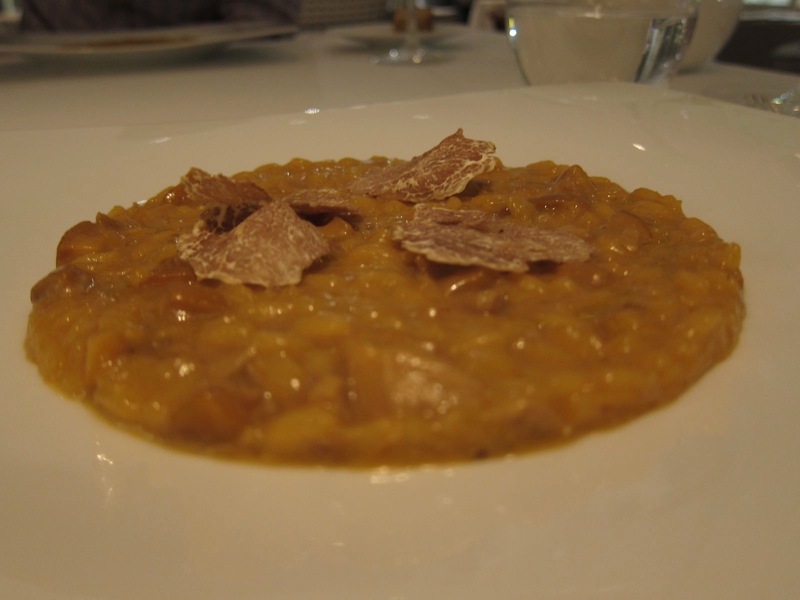 The earthy flavors of the mushroom and truffle made the dish quite exquisite. 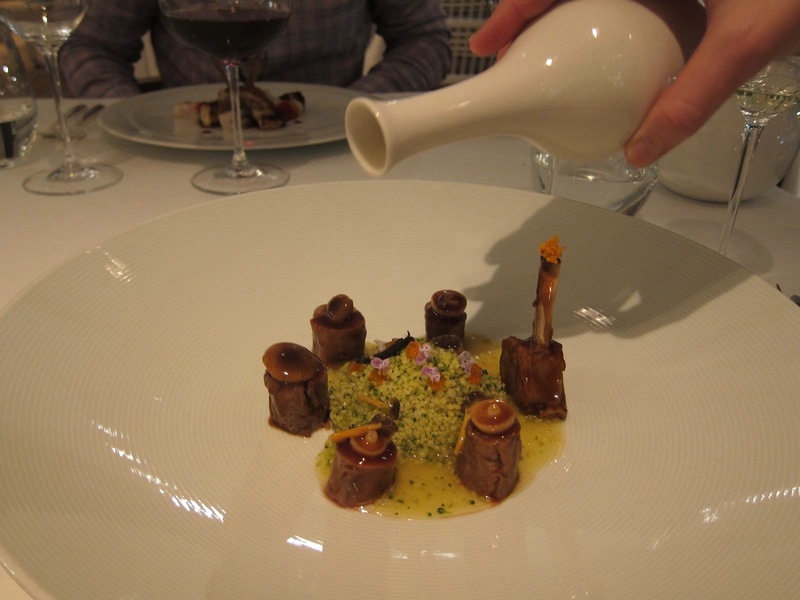 My entree was a Rack of milk-fed Lamb, seasonal mushrooms, saffron and couscous. 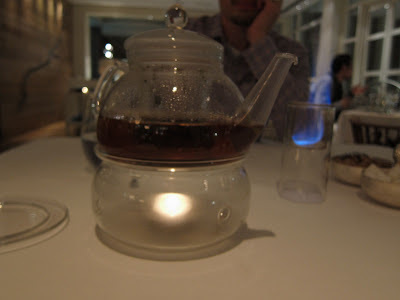 The dish looked very pretty but the portion looked smaller than I had expected. 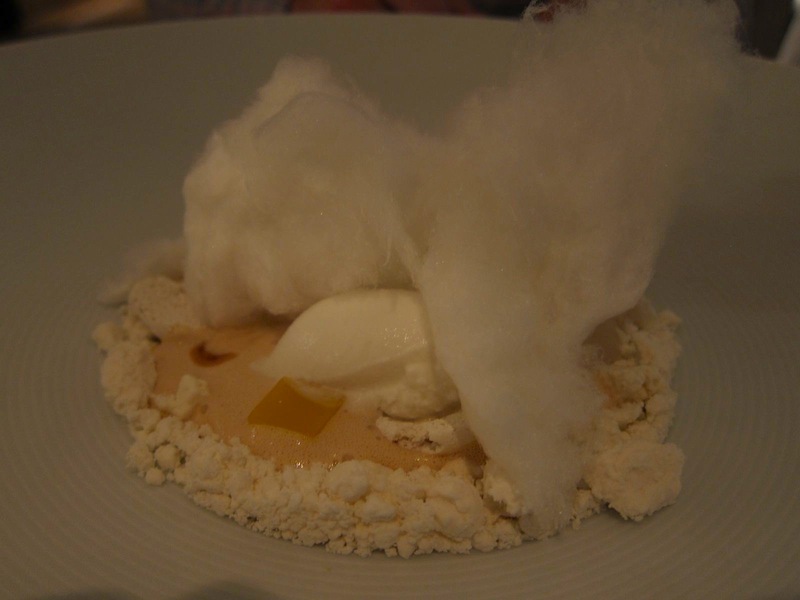 However, this dish was very well executed too. The lamb was cooked just right and the sauces and the couscous went rather well with the meat. Also, I realised the portion was actually quite filling! 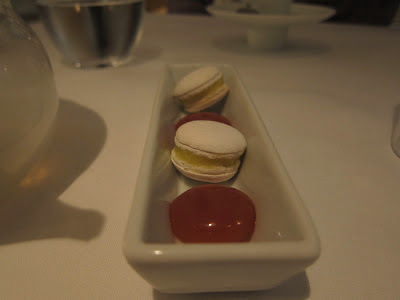 The desserts were very good too. Sadly, I can't remember the exact ingredients that went into them, but they were a very satisfying end to a splendid meal. As I sat there sipping my Earl Grey at the end, I had almost forgotten the pain of losing my iPhone. 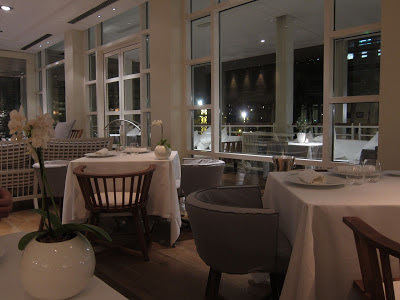 The Hotel Arts Barcelona is part of the Ritz-Carlton group and is also home to their excellent high-end Tapas restaurant, Arola, which I had visited last time.